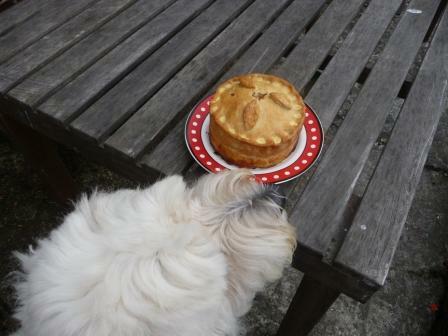 Julian got a home-made pork pie for his birthday….what more would he want (a cake??!). I think he was infinitely more pleased with the pie. I was just thinking of a title for my P.P.P. 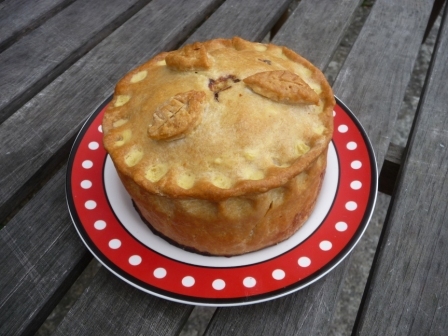 (Pork Pie Post), when I remembered that Dad used to refer to them as growlers. Thought I would investigate the provenance of ‘growler’……nothing exciting to report really apart from it is a term that originated in Yorkshire. 1) You eat one when your stomach is growling. 2) They make your stomach growl after you’ve eaten one. Probably the best answer I could ask for!